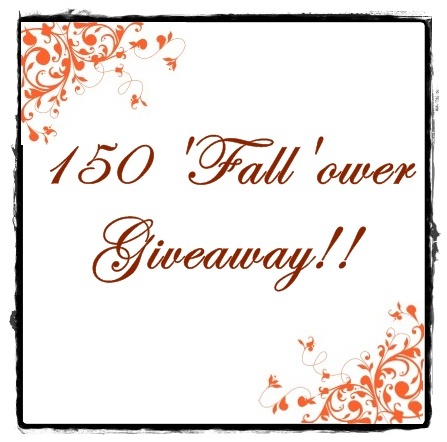 Vintage Gwen: 150 'Fall'ower Giveaway! It's exciting to reach a milestone in blogging. Having over 150 of you lovelies....well it's amazing to me! I appreciate every one of you! So let's take some time and celebrate with a giveaway!! This is what I came up with!! It's time for some fall baking!! My home church cookbook, pumpkin kitchen towel, pumpkin/candy corn cookie cutters, and some candy corn cupcake liners!! *UPDATE* This is open to international followers too! And if you prefer to make your comments on the Vintage Gwen Facebook Page, then I will count them as entries! Giveaway is open till Sunday, October 9th at 10pm. The winner will be announced Monday the 10th. I follow you. :) Such a fun giveaway! Hi, Jennifer! Count me in! What a great Fall giveaway! Congrats on the 150 milemark! I love to bake in the Fall! I made cinnamon roll cake last night, it is soo yummy! I really want to increase my baking skills. I love to make blondies any time of year though.